The Casual Veggie Cookbook is now available! 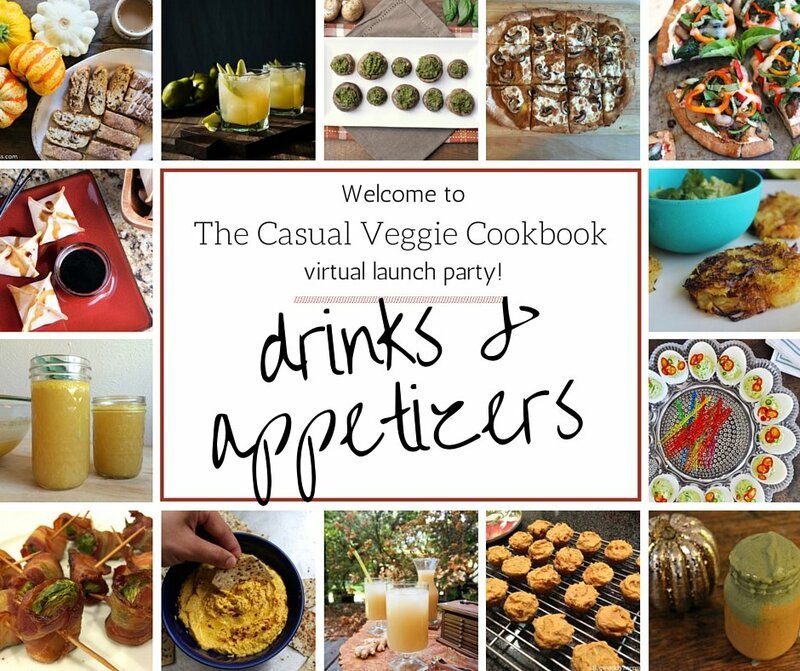 So we are throwing a drinks & appetizer link party to celebrate the cookbook release. This is a round up of some amazing new ideas and bonus recipes for autumn and the upcoming holidays from the awesome contributing food bloggers. Check out all the links below for some great fall ideas and get the cookbook. This post contains affiliate links, which means that if you click on the cookbook link and buy the cookbook, I’ll receive a commission. This helps to put food on my table and on the blog. So for our party I’m serving up these Sweet Potato Casserole Muffins. Yes it sounds weird, but they are so good!!! A fun little experiment that worked out better than I expected. I love sweet potatoes and really enjoy experimenting with them in the kitchen. And lately I’ve been getting pretty brave with my baking. I’ve been trying out some new ideas and developing non-traditional muffin recipes with different gluten free flours and ingredients like sweet potato, ripe banana, apples, zucchini, etc. My recipe for gluten free Spiced Zucchini Muffins is featured in The Casual Veggie Cookbook. Mini muffins are so easy to take to a party or event because who doesn’t love finger foods. And they make great breakfasts or snacks. So I find myself looking for ways to turn veggies into muffins, especially if I have an extra sweet potato or zucchini on hand. These are also gluten free, casein free, egg free and refined sugar free. 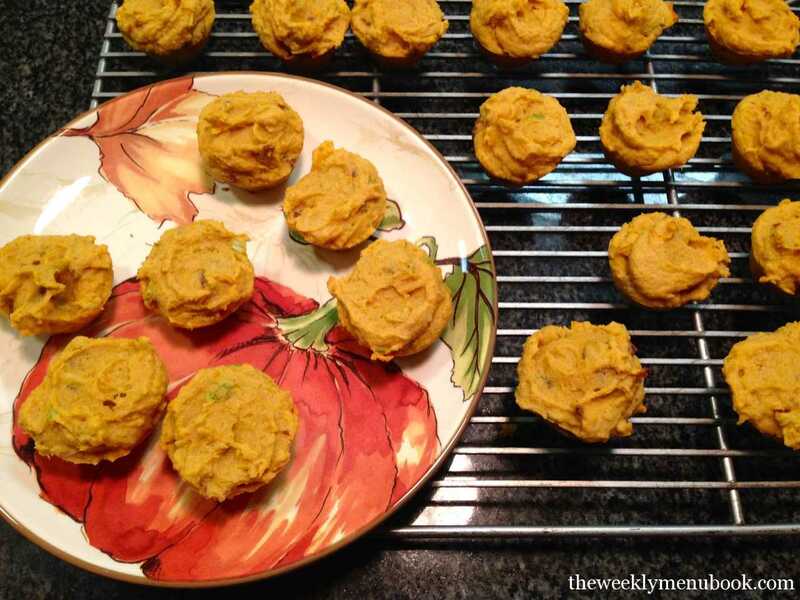 I’m calling them – Sweet Potato Casserole Muffins because they taste a lot like a sweet potato casserole or loaded baked sweet potato. They are slightly sweet with a little bacon and green onion surprise inside. So yum! 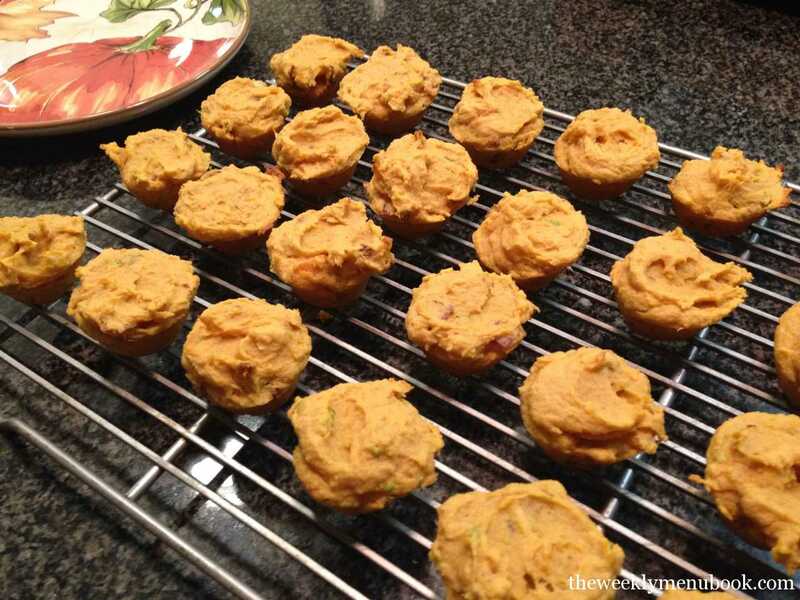 These muffins taste like a sweet potato casserole or loaded baked sweet potato. Slightly sweet with a savory twist. They are gluten free, casein free, egg free and refined sugar free. Peel and cube a large sweet potato into 1 1/2-inch pieces. Fill a saucepan with the cubes and filtered water. Bring to a boil then cook until the sweet potatoes are tender to the fork, about 15-20 minutes. Drain in a mesh strainer and let cool. Mash the sweet potato and reserve 1 cup. Mix together the dry ingredients: oat flour, sorghum flour, potato starch, baking powder, salt and fresh thyme in a small bowl. Set aside. To make the applesauce, peel off the apple skin and cut the apple into smaller pieces. Discard the core. Add the apple pieces and a few tablespoons of water to a small mini-prep blender. Puree the applesauce until smooth. In the bowl of a stand mixer, add the sweet potato mash and melted ghee. Mix together at medium speed until well blended. Add the homemade applesauce and raw cane sugar. Beat at medium for a few minutes so the ingredients are nicely incorporated. Add the dry ingredients to the mixture in the stand alone mixer and beat at medium until well incorporated, about 3-4 minutes. Add in green onions and bacon. Beat gently. Divide the batter into the wells of a 24-cup mini muffin tin. Bake for about 16 minutes or until a toothpick comes out clean. Let cook on a baking rack. Store in the fridge because the muffins contain meat. I used Bob's Red Mill gluten free flours. Sweet potato mash freezes really well, so I usually boil several sweet potatoes at once and divide the mash into 1-cup containers and freeze them to use later. Thanks everyone! This has been such a fun process getting to know you all and sharing our recipes! These sound amazing! I love sweet potato, and the savoriness of the bacon and onions sounds like a killer combo! These looks so perfect for fall! Congrats on such an incredible launch!! 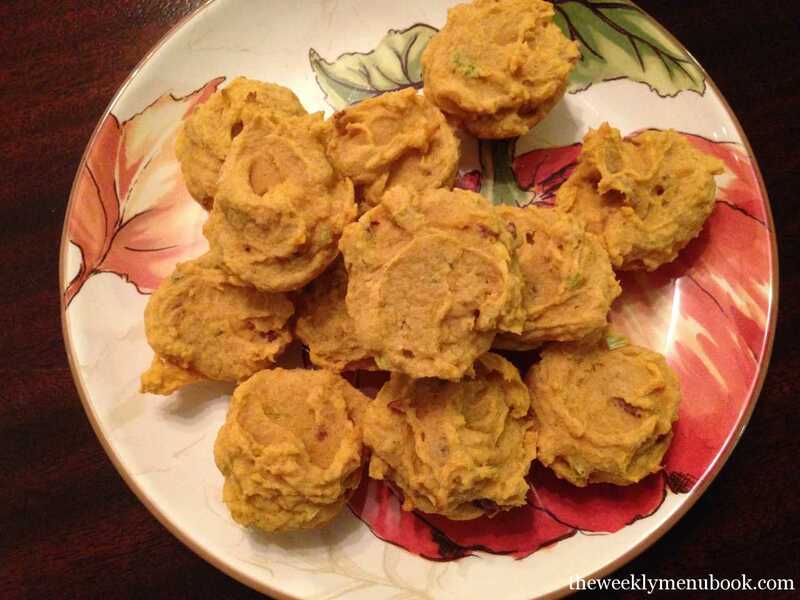 These sound delicious and who doesn’t want some fork-less “sweet potato casserole” flavor 🙂 I can’t wait to try your recipe for Spiced Zucchini Muffins from the cookbook.